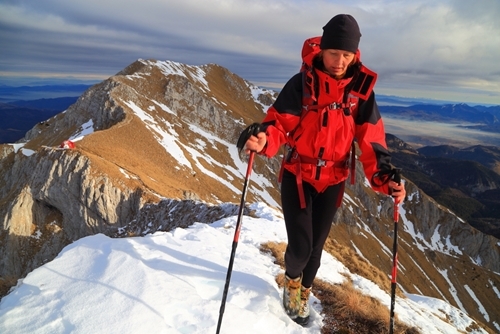 Altitude can have a tremendous effect on how the human body operates. Football fans may site the altitude effect players experience while playing in Denver - also known as the mile-high city. In January of 2012, NFL health officials refused to let Steelers star safety Ryan Clark step on the field during the A.F.C. wild-card game due to a sickle cell trait that could cause health complications if engaged in vigorous activity at high altitudes, according to The New York Times. But you don't have to exert yourself in the same way a professional athlete does or have a prior health complication to experience harsh effects from changes in altitude. 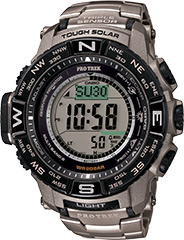 This is one of the reasons it's critical that mountain climbers keep track of their altitude with a watch altimeter or a similar device during an ascent. Greater changes in altitude can impact the body dramatically, and a method of combating these effects is absolutely critical. Why does altitude affect the body? Simply put, people who live at lower elevations suffer the altitude effect because of a drop in barometric pressure and a lower level of oxygen. This causes the resting heart rate to increase to deliver enough oxygen to sustain the body, and exerting yourself more with physical activity can cause a flurry of other problems. Ultimately, the reduced amount of oxygen can cause various physiological events to occur. Without the same amount of oxygen-rich air, the body will begin to feel rundown. This occurs regardless of fitness level, according to the Army Public Health Center. For marathon runners and couch potatoes alike, altitude takes its toll. The best ways to stave off these effects include planning frequent rest periods, reducing physical exertion and acclimatization. Acclimating takes time, however. Typically, it is achieved by climbing to a certain safe level and slowly getting used to the reduced oxygen levels over a series of days, or slowing ascents to a more gradual pace. The Army Public Health Center also noted that high altitudes can affect the way the brain operates. The conditions can affect vision by making it harder for climbers' eyes to adapt to the dark. Increased altitude also has dramatic effects on cognitive functioning. It is common to experience frequent memory loss, a short attention span and reduced judgment. What's more, climbers also note that shifts in mood and personality are common. Before hikers become acclimatized, high altitudes can have a detrimental effect on sleep patterns as well. Mayo Clinic noted that high altitudes can cause fragmented sleep or destroy a climber's ability to fall asleep. This can be a particularly pernicious problem for individuals who already suffer from a sleeping disorder. What's more, as hiking at altitude already puts the body under stress, failing to recover with adequate sleep can put increased strain on the hiker. While dehydration is directly linked to changes in altitude, it is very common for climbers to experience dehydration at altitude. This is because more moisture is lost through frequent breathing, and the other effects of hiking - sweating and even vomiting - can cause dehydration. This problem is compounded by the fact that the thirst sensation is often diminished at altitude, according to the Army Public Health Center. Dehydration can slow the body's ability to acclimatize, which can jeopardize your chance of reaching a summit. Before your journey, Mayo Clinic recommended drinking 2 to 3 liters of water. While out on the trail, make sure you have at least 1 liter of water to drink per day as well. Knowing how the elements can affect you is really important when going on different types of outdoor adventures. Having a tool like the PRW3500T-7 to help you keep track of those elements is key.